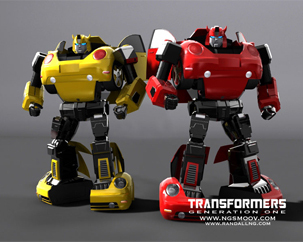 Since 2007, NGSMOOV has been contracted to produce series of CG-animated promos annually for conventions (BotCon and GI Joe Con, Knight Rider Reunion, RetroCon, Alamo City Comic Con, Cyber City Con), three music videos with Daytime Emmy Award Winner Stan Bush, and contract work including graphics, animation, and voiceover for industrial clients such as Nissan and Toyota. NGSMOOV continues to produce CG-animated, pop-culture themed webtoons, with an ever-expanding online audience and subscriber base. Currently NGSMOOV Animation has several projects in the works and in development. 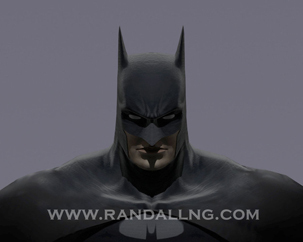 Randall Ng is an award-winning 3d artist/animator involved in the video game industry since 1996 - successfully shipped multiple games on XBOX ONE, XBOX 360, Playstation 3, PSP, XBOX, Playstation 2, PSone, and PC. Ng’s amazing attention to detail has paid off with fans - his replica models of popular toys and characters are extremely accurate. He’s even taken these characters to a whole new level with his penchant for updating classic designs with modern touches. His Transformers, G.I. Joe, and DC Superhero models are favorites amongst fans, and are downloaded regularly as desktop wallpapers and iPhone backgrounds. In the past, Ng has worked as Director of Graphic Design, taught 3d modeling, animation, game design, worked in film, and directed several CG animated shorts. He has also been featured as a guest lecturer at the XGDX on game art and design, has had artwork published in several gaming and animation magazines, and continues to be interviewed for numerous publications on the web. Notable titles include Halo 5: Guardians, Halo 4, and Justice League Heroes. SMOOV is an award-winning visual stylist whose innovative online videos have captivated an audience of millions. Widely recognized and acclaimed for his viral internet videos, SMOOV’s Transformers-themed satire “The Rude Awakening of Optimus Prime” quickly became a cult-classic and favorite amongst animation fans around the globe. Earning over 4 million views on youtube alone, the video is widely uploaded, posted, and shared amongst online communities and social networking sites. SMOOV’s other videos follow suit accumulating over 10 million documented views and have been featured on the front pages of popular video sites such as yahoo.com, youtube.com, funnyordie.com, and collegehumor.com. SMOOV has over 10 years of professional television industry experience in Hollywood, producing, writing, and consulting for major networks including NBC, ABC, Toon Disney, MTV Networks, AMC, GSN, E!, DirecTv and others. He has directed a slew of music videos as a contract Director for Earache Records, as well as produced and directed videos for other misc artists with videos airing on MTV2 and Fuse television internationally. DR. SMOOV has also been involved with creating pop-culture content and lending his uncanny voice acting skills to some of the most popular characters from Transformers, GiJoe, Star Wars, and other characters for G4TV’s “Attack of the Show,” “X-Play,” The Nerdist, and a series of webtoons for College Humor.com.